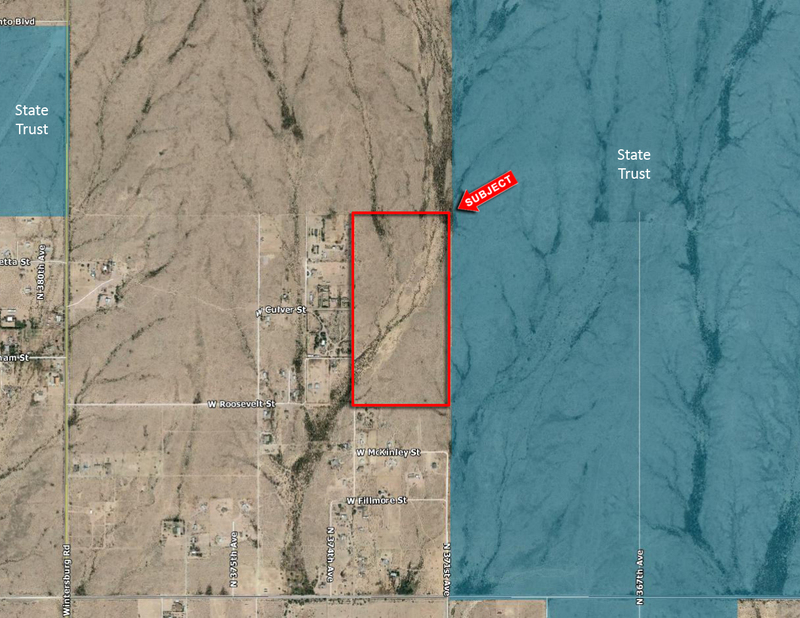 Subject property is located at the SWC of 371st Ave & McDowell Rd. Just West of Wintersburg Rd, which is paved and a full diamond interchange at I-10. Power is in the area. Excellent investment or 1031 Exchange.